Belgium has been shaped by successive waves of history, from the Roman conquest to the European Union. Old cities like Bruges, Antwerp and Liège were major hubs of trade in the Middle Ages, while Waterloo, Ypres and Bastogne witnessed the savagery of war. This rich history is reflected in a multitude of museums dedicated to distinct historical periods. You go right back to European prehistory when you descend a ladder into the Neolithic flint mines at Spiennes, near Mons. Or you can encounter more recent events such as the collapse of Communism and the UK’s vote to leave the EU at the House of European History in Brussels. 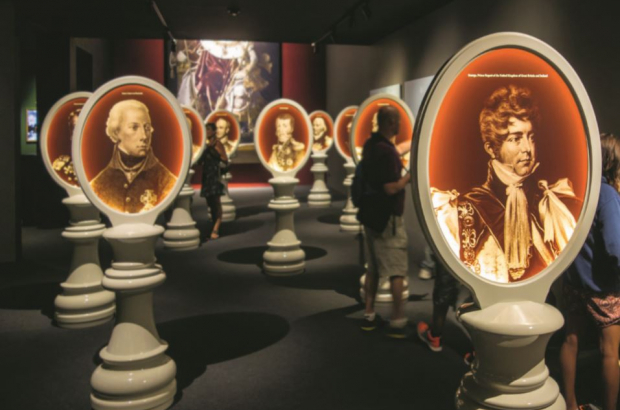 Several outstanding modern museums are dedicated to telling the story of war, such as the fascinating Waterloo battlefield site near Brussels, where you can follow the decisive battle that brought an end to the Napoleon era. Or you can head to the Bastogne War Museum deep in the Ardennes, where you discover the story of American troops caught in one of the fiercest battles of World War Two. A few kilometres from Bastogne, it’s possible to follow in the footsteps of American troops through the dark pine forests near the German frontier, where the land is still pitted with foxholes dug by soldiers during the bitter winter of 1944. You’ll also come across endless strange festivals all over Belgium that sometimes go back centuries, like the medieval Procession of the Holy Blood in Bruges, which has been celebrated for more than 700 years, or the August 15 Festival in Liège, when foklore puppets parade the streets of the Outremeuse quarter. The history of Belgium’s urban centres is told in several excellent city museums, such as the Mas in Antwerp, the Grand Curtius in Liège and the Stam in Ghent. Or you can discover the country’s technological past by visiting sites such as Antwerp’s Plantin Moretus museum, which occupies a perfectly preserved Renaissance printing house, the 19th-century ship lifts at La Louviere and the restored coal mine C-Mine in Genk. Others focus on a particular theme, such as the Red Star Line museum in Antwerp, where you can follow the stories of European migrants who sailed to America on Red Star Line ships. Immerse yourself further in the country’s rich history by spending the night in a historic building. Many are in old cities, such as the Grand Hotel Casselbergh in Bruges, which partly dates back to the 15th century (though the bedrooms are modern). Recently opened in Leuven, The Fourth gets its name as it is the fourth occupant of a building dating back to 1479, which was previously used as a guild house, theatre and bank. High above the rooftops of Liège, Les Comtes de Méan is a stunning urban hotel in an old mansion with 15th-century cellars. The Dominican Hotel occupies a former monastery in the heart of Brussels, while the stunning 1898 The Post has taken over a neo-Gothic post office on the Ghent waterfront.